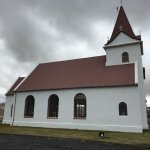 This church was a most unexpected find that I saw simply driving in the main road. 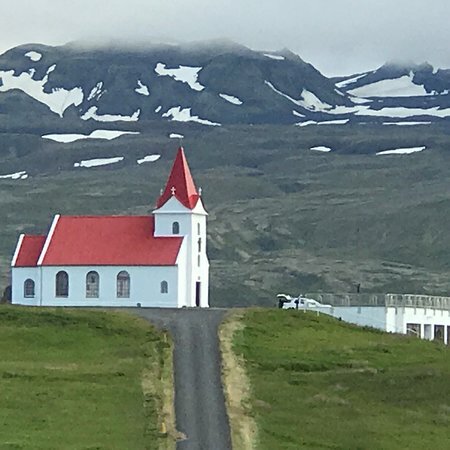 A small road leads to the church on a hilltop with the snowcapped mountains behind it. 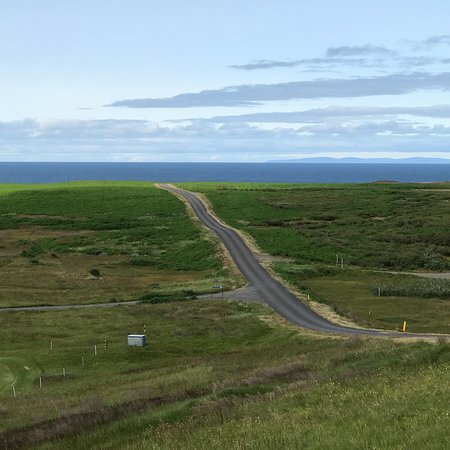 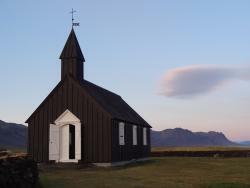 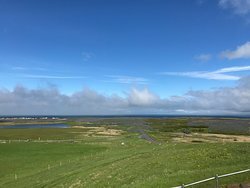 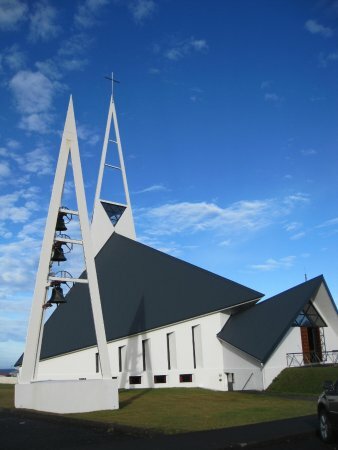 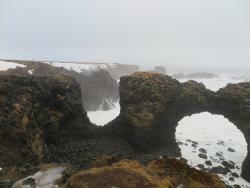 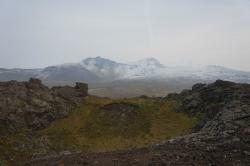 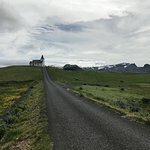 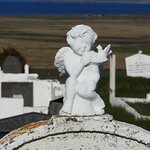 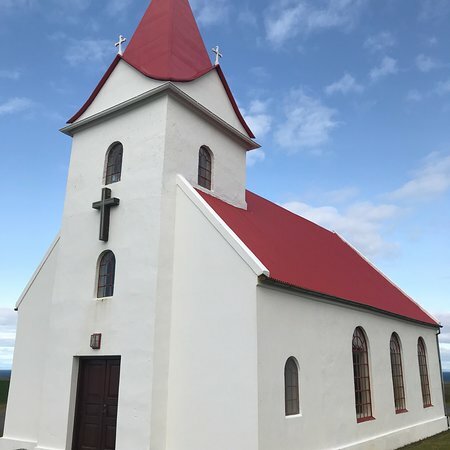 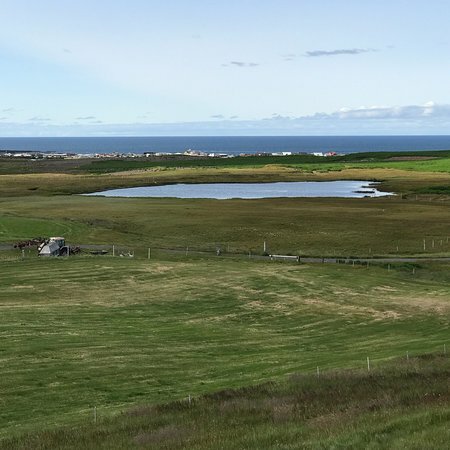 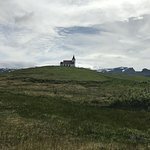 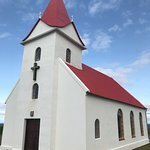 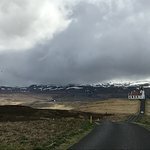 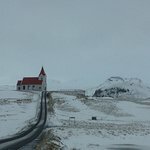 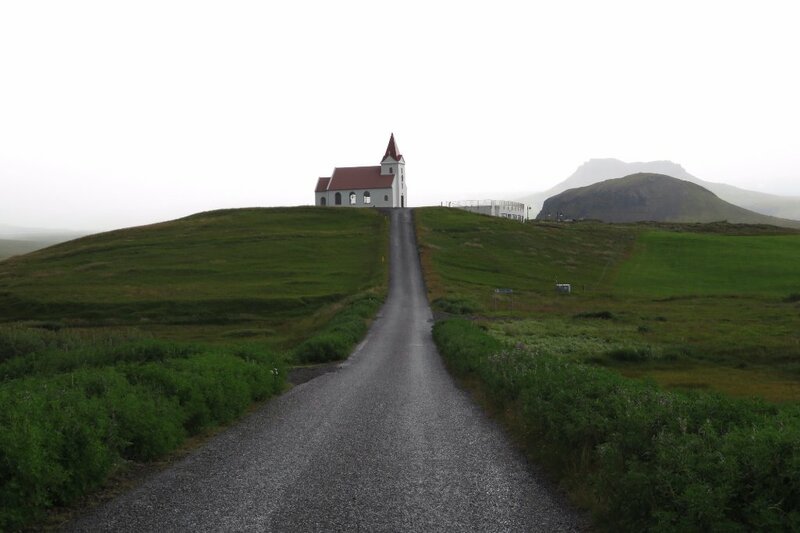 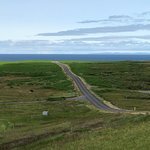 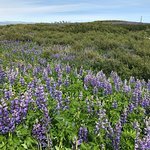 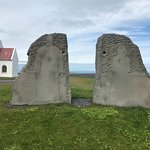 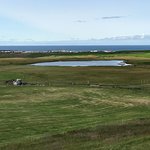 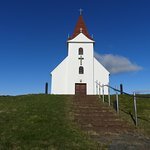 This small church is worth a quick stop when driving around the Snaefellsnes peninsula. 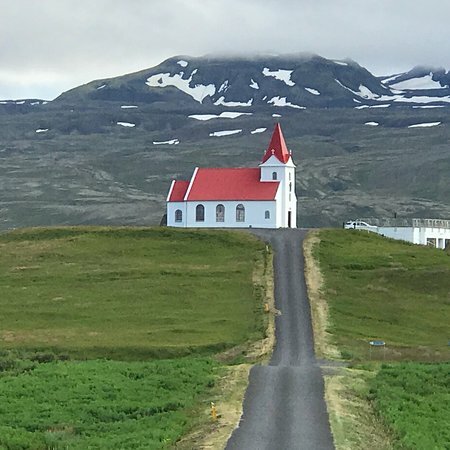 There is a parking spot at the bottom on the hill, and also at the top. 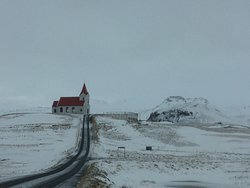 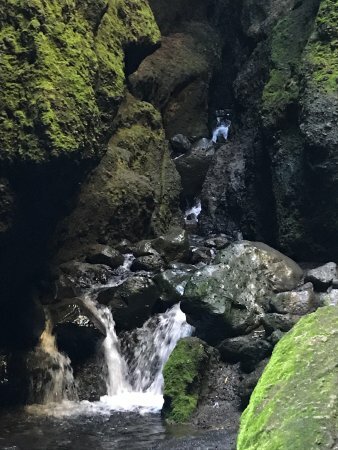 It is very picturesque. 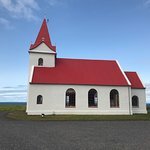 Very Photogenic white and red church just off the main road. 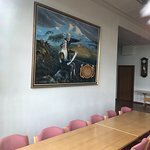 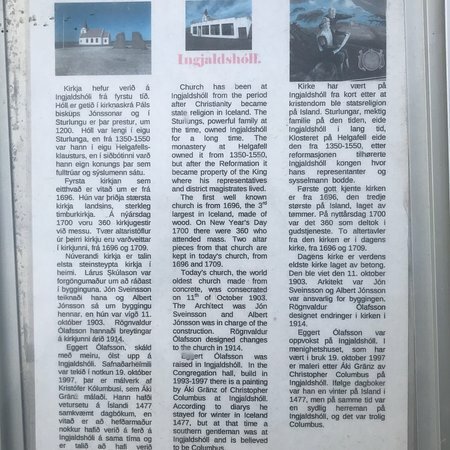 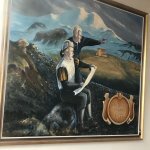 Get quick answers from Ingjaldscholskirkja staff and past visitors.